Pangaea is known as the largest multicultural event to take place on campus of McMaster University. The rooms in the student center are used as country pavilions where cultural clubs serve food from their culture and have visual displays. Displays feature flags, historical posters, art and music. Armenia was no country to be left out. 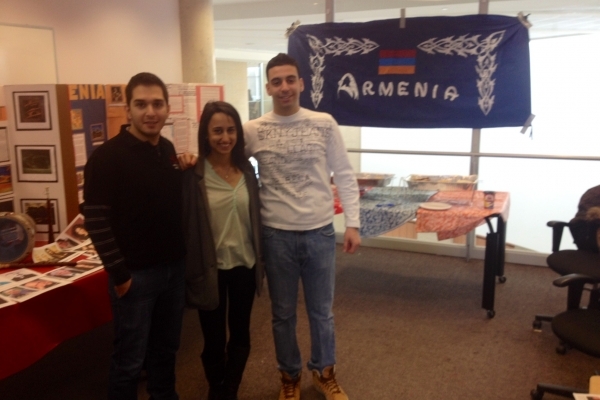 With months of preparation, members of the McMaster Armenian Students Association organized the event that took place on Sunday March 2nd, 2014. On the day of, students decorated the room with artwork, maps, educational and informational boards, and displayed instruments such as the dudook and terbek. 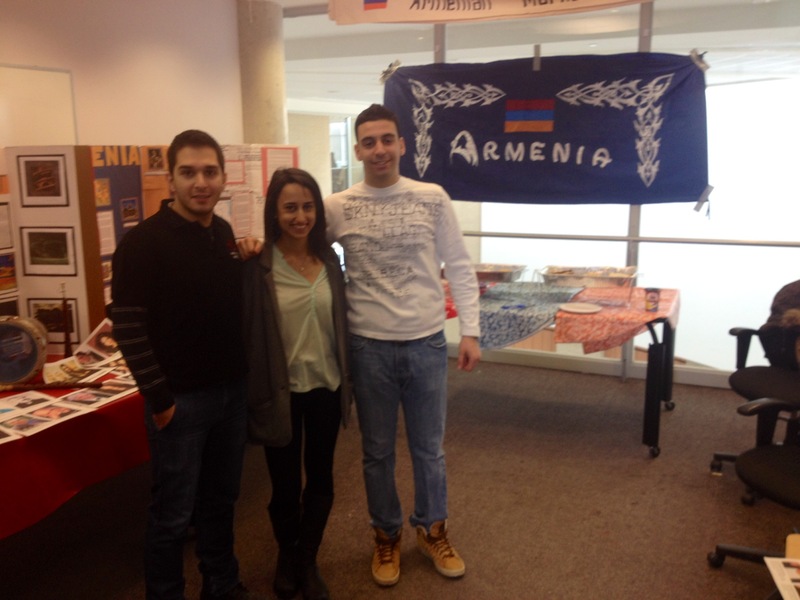 The students also set out two famous Armenian dishes, bureg and lahmagoon, which the public spoke very highly of. 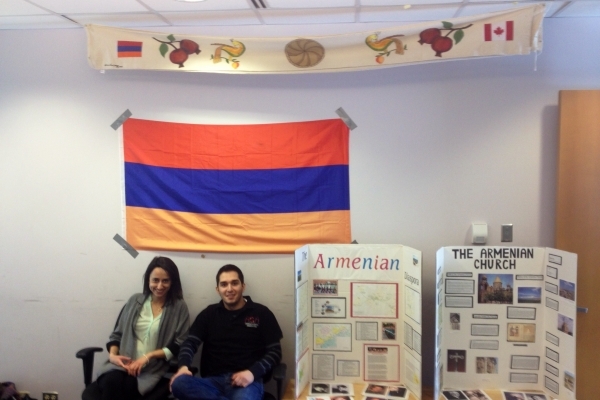 Throughout the day students would enter the pavilion and become more educated about Armenian culture. For a brief moment, students had the opportunity to experience Armenia. 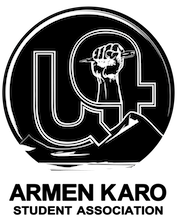 One of the most common reactions the ASA received from students was “I didn’t know System of A Down was Armenian” and “I’ve waited a whole year to have lahmagoon again”. This year is one more additional year that the ASA can add as a success in participating in Pangaea. 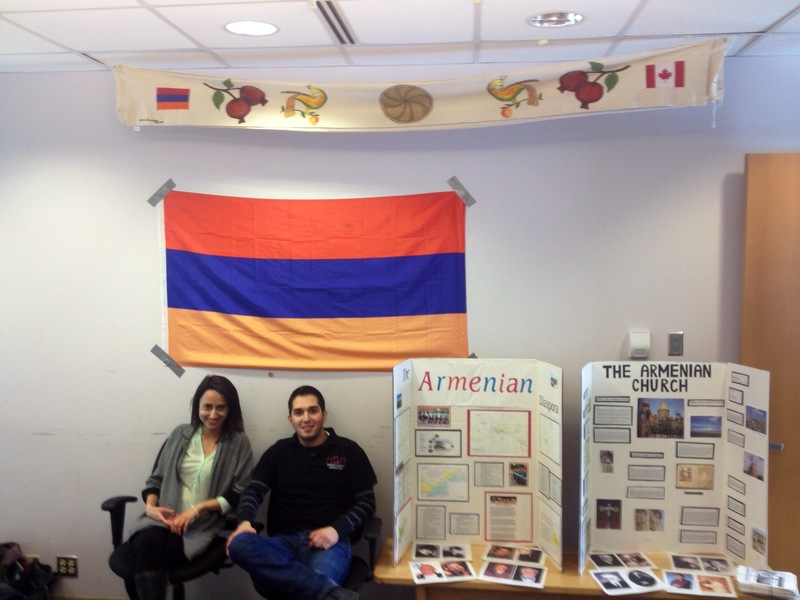 Alongside promoting harmony and unity, Armenian Students Association will continue to celebrate the cultural diversity at McMaster University.